With imaginative photographic designs, simple word labels, and stimulating questions, these are the perfect first word and counting board books for parents and toddlers to share. 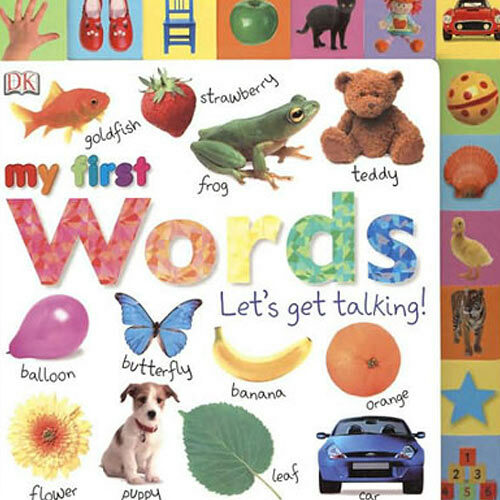 The books cover all the most popular preschool subjects - such as vehicles, animals, and colors - and each section is accessible by means of a helpful picture tab visible from anywhere in the book. The My First series was first introduced over two decades ago, and has sold more than fifteen million units in the United States. Available worldwide and in several languages, the series encompasses over one hundred titles in a range of traditional and interactive formats including board books, board games, wipe-cleans, magnet books and learning kits.